Optime III is a super-muff, and has been developed for use in extremely noisy environments. The hearing protection is based on a technology with a double casing that minimises resonance in the holder casing. This results in maximum high-frequency muffling, while at the same time its still easy to understand speech and signals. An acoustic connection between the inner volume and the volume between the casings in its turn provides maximum low-frequency muffling. The sealing rings are broad and filled with soft plastic foam for the best fit and low contact pressure. 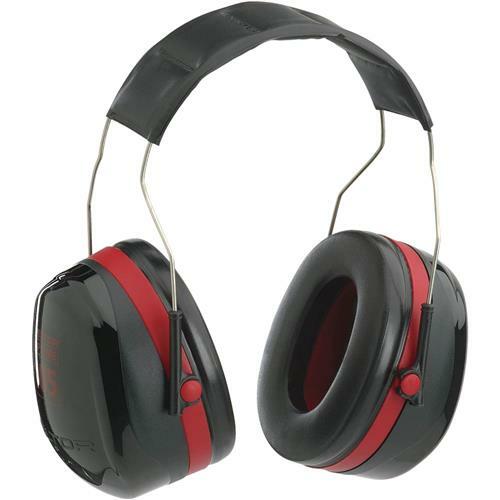 Effective ear protection and best comfort are the hallmarks of Optime III. I bought these to replace a pair I'd bought some 15 yrs. ago - I just flat wore them out. Lived up to my expectations. Very fine ear protection for the money. These earmuffs block too much sound and I can not use them. Comfortable and quiet . bla bla bla bla bla bla bla .